The rosemary plant is like a woody shrub and it too is an easy herb to grow. I encourage new gardeners to grow this herb because it’s a no brainer. There’s just one rule. Ensure that the rosemary is fully exposed to the sun. Rosemary (or rosmarinus officinalis in latin) can be considered a perennial herb. Perennial simply means that it lasts for more that a year. Whenever you come across a gardener who grows rosemary ask her how long she’s had this herb. You’ll be amazed at some of the answers you’ll get. I knew a lady whose rosemary has been with her for a whopping 5 years. That’s an idea of how loyal the herb is. If you’ve been reading through the pages of the site you’ll know that my garden is small. I don’t have the luxury of a huge backyard. But I always believe that no garden should be without herbs. So I always try to get at least 2 to 3 types of herbs intercropped with my vegetables. I’m constantly mixing it up. One year I may grow French marigold and Basil. Next season I tried cilantro and lavender. So I guess I was bound to reach rosemary sooner or later. I decided to grow rosemary because I got a great review from a friend. While she wasn’t a gardener and had never grown rosemary herself, she used it in her cooking. She explained that the rosemary herb was fantastic especially in her meats. Her chicken and fish dishes were given an extra zest when rosemary is used. Best of all she explained that the taste of her meats was scoring points with her in-laws. (And we all know how satisfying that could be). I was sold. I too wanted to benefit (meaning: score points). And since I already had a vegetable and herb garden I would grow rosemary. I prefer growing vegetables quick and easy. So if I can avoid growing vegetables and herbs from seeds I would. And rosemary was no exception. I simply bought a rosemary plant growing in a start from the local nursery. I went back to the garden where I removed the container. I dug a hole about 4 to 6 inches deep and inserted the herb. I covered back up the hole with dirt and compost and poured a light spray of water over the plant. And I was done. 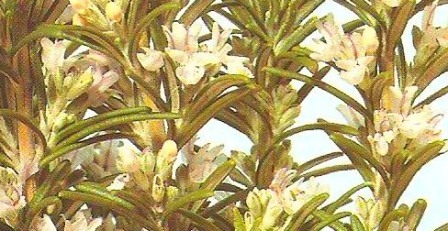 The rosemary would grow all during the warm months and survive the cold. It was that easy. The rosemary grew and spread in the garden. I had more rosemary than I could use. So I convinced my friend to grow some in a pot. I waited until early spring to cut the plant to share. Winter is always harsh on plants so I avoided cutting during these months. I got my clippers and cut of four pieces of stems. The pieces were all about four inches long. I wrapped them in a damp piece of paper towel because I didn’t want them to wither quickly. Next I stripped off ¾ of the leaves of each cutting and placed the pieces in a container. It took about 6 weeks for the roots to form. And once that happened I separated the cutting into separate containers and gave them to my friend. I was thinking...maybe I could put a sign at the front stating “Rosemary Starters for Sale”. This would be an extra stream of income (if they sold), wouldn’t it? I guess once you’ve develop a skill you can make money from it. That’s almost everything you need to grow rosemary. I think it is pretty easy. I wonder if you realized that herbs are less fussy and easier to grow than vegetables. All you need is soil that drains easily, sunlight and some starters and you can own a successful herb garden. In the event, if you do begin planting herbs do include the rosemary plant. This way you too can benefit (score points with your in-laws) like I did.